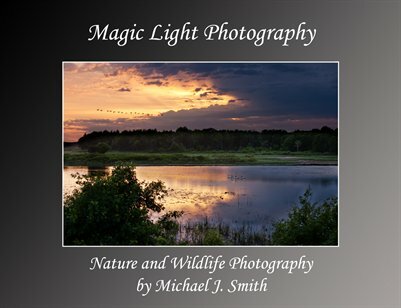 Magic Light Photography is a collection of over 80 of my most popular nature and wildlife photographs. The book contains intimate portraits of animals in the wild, sweeping landscapes and macro images of flowers and insects. The majority of the photographs were taken in Wisconsin but there are also images from my travels, including some of our National Parks and South Africa.